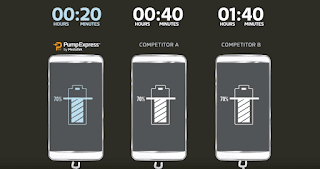 Want to know the difference between QuickCharge, Dash, Vooc, Pump Express? This article should help you see more clearly in the jungle of fast charging. Fast charging has been gaining momentum in recent months, especially with the introduction of high capacity batteries, often exceeding 3,000 mAh. In order not to put more than 3 hours to recharge these smartphones with a simple charger of 1A with 5W, the manufacturers propose chargers capable of debiting a higher power. We have already seen devices able to absorb up to 25W, a recharge almost five times faster than the vulgar 1A charger on 5V. Before delving further into the subject of fast charging, let's take a quick look at how electricity and measurement units work in chargers. If you take a look at your charger, you can easily calculate its output power, expressed in watts. The chargers, in fact, specify the intensity of the current (in amperes) and the voltage (in volts) output to the smartphone. To calculate the power of the charger, in watts, it is enough to multiply the intensity by the tension. For example, in the case of a conventional charger capable of delivering a current of 1 ampere on 5 volts, we will be entitled to 5 watts output. On Oppo Vooc chargers that charge 5 amperes on 5 volts, the smartphone will be able to receive 25 watts. What is the point of greater power? Reduce the charging time of smartphones batteries. To better understand the rest of the article, note that the recharge time of a battery is not linear. Thus, if half of the battery can be recharged in a very short time, the second half - and even more the last percent of it - takes a lot of time to recharge. The fast charge is, therefore, to send a very large power on the first half of the load, then to finely regulate this power in the second half. This last exercise is the most delicate, so as not to damage the battery. Oppo has also created its own VOOC fast charging solution. Unlike Qualcomm's solution, Oppo did not choose to increase the voltage, but only the intensity of the current. VOOC can, therefore, deliver 25 watts, with 5 amperes and 5 volts. The advantage of using 5 volts and not 12 or 20 volts is to prevent the battery from overheating when recharging, and therefore to use without burning the phone. Oppo also uses its own batteries, integrating several cells to optimize the current. Finally, the USB cable used by Oppo is special, since it incorporates more connectors. 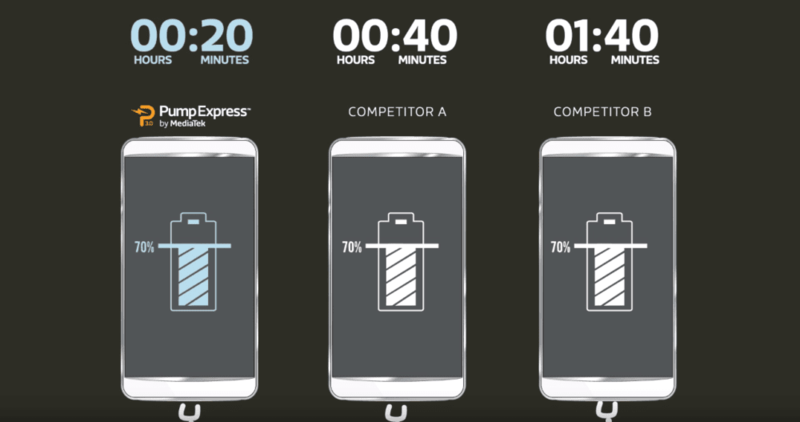 Oppo announces 30 minutes to recharge 75% of a smartphone battery, of an unknown capacity. Earlier this year, Oppo announced the Super VOOC Flash Charger charge that would charge a battery of 2,500 mAh in just 15 minutes. The charger always uses a voltage of 5 volts, but with a pulsed recharge, which allows varying precisely the total power over the entire charging time. Oppo also points out that a brand new battery is used to go with this technology that is not yet available on smartphones. With its OnePlus 3, the Chinese brand has innovated in fast charging with its home technology Dash. Under this name, this hides a fast charge that resembles that of Oppo, with a voltage of 5 volts, but an intensity of 4 amps, which gives the final power of 20 watts. Once again, we have the advantage of a low voltage (little heating) with the advantages of a fast charge. On the other hand, as with Oppo, the fast charge Dash requires a special USB cable, again with more pins for charging. OnePlus promises 63% battery capacity of the OnePlus 3 (which is 3000 mAh) in 30 minutes of fast charging. In June 2012, Qualcomm acquires Summit Microelectronics, a company specializing in the design of electronic circuits for chargers. 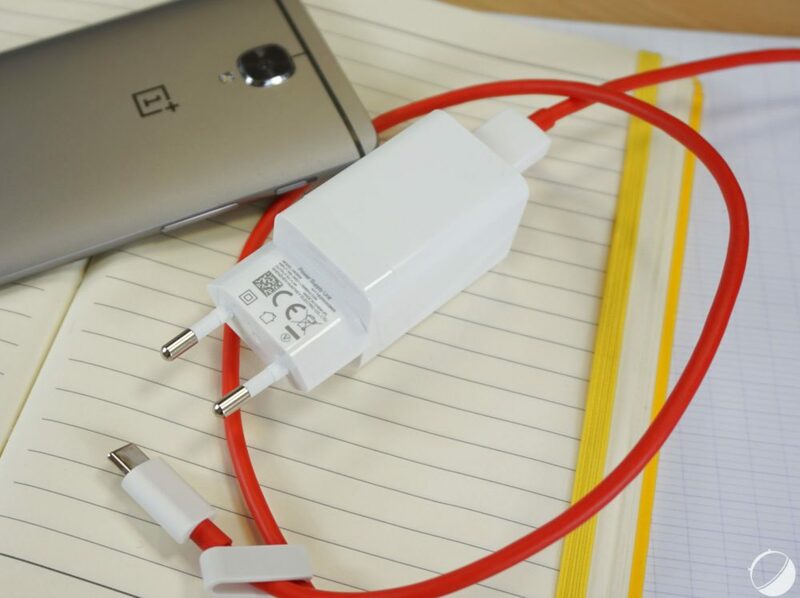 In February 2013, was born the standard Quick Charge 1.0 capable of reducing the charging time of compatible smartphones by 40%. For this, it was necessary that smartphones include a special chip. In fact, the standard allowed the use of a 10 watt (5V - 2A) charger with compatible smartphones. Then comes the standard Quick Charge 2.0, this time able to shorten by 75% the charging time of a smartphone with up to 36 watts (12V - 3A). To benefit from an intensity of 3A, it is necessary to have a special Quick Charge charger. In recent months, Qualcomm has been offering revision 3 of its Quick Charge standard, again with a decreased cooldown. This time it is possible to use a voltage of 20 volts against 12 volts maximum for Quick Charge 2.0. Qualcomm is going even further by integrating a finer management of the voltage, in steps of 200 mV between 3.6 and 20 V. Previously, a smartphone could only choose four different voltages depending on the progress of the load, against now 80 voltages. It is thanks to this finer management of the voltage that the charge is faster, allowing to refine the maximum power delivered to the smartphone in the last minutes of recharging. Qualcomm promises 71% recharge in 30 minutes for a battery with a capacity of 2750 mAh. Motorola, or rather now Lenovo, also offers its own technology called TurboPower. It seems that it relies in part on the Qualcomm Quick Charge 2.0 standard since the charger is compatible. However, Motorola says its engineers have worked with battery designers to optimize the load. The software part would also be specifically dedicated to the battery, for a better management of the energy during the charge. Most high-end Motorola smartphones come with the TurboPower 25 adapter that achieves a power of 25 watts with 12 volts and 2.15 amps. Motorola announced 1000 mAh of recharge in 15 minutes. All this works on the Motorola Moto X Force dating back to 2015, but also on the Lenovo More Motorcycle G4 and the future Moto Z. 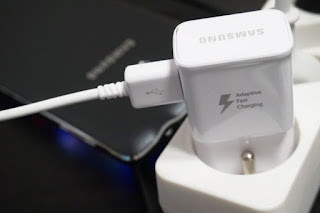 At Samsung, there is the Adaptive Charge which plays the role of fast charge. Thus, the charger that comes with the Galaxy S7 can deliver up to 25 watts with 12 volts and 2.1 amps. Once again, Samsung is using Qualcomm's Quick Charge technology, as a San Diego engineering engineer told us at CES 2016. According to Samsung, the Adaptive Charge can recharge 50% of the battery Galaxy S7 (3000 mAh) in 30 minutes. For its part, MediaTek has developed its own fast charging solution called Pump Express. It can be found in three different versions: Pump Express Plus, Pump Express Plus 2.0 and Pump Express 3.0. This latest revision should be available within smartphones by the end of the year. 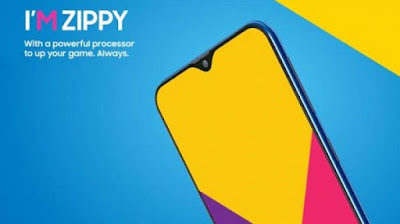 It is reserved for smartphones equipped with a USB Type-C connector with an output voltage of 3 to 6 volts (in steps of 10 to 20 mv) and an intensity that can exceed 5 amperes. It can, therefore, go up to 30 watts, with low heating thanks to the low voltage. MediaTek announces 75% recharge in just 20 minutes for a battery capacity of 2060 mAh against 30 minutes for the standard Pump Express 2.0. The introduction of USB Type-C connectors on smartphones has helped to increase the speed of reloading phones without fast charging capabilities. Thus, the USB Type-C connector allows passing a power of 15 watts between the smartphone and the charger, with an intensity of 3 amperes and a voltage of 5 volts. So we stay on a charge that does not heat too much but is much slower than the mechanisms of Qualcomm, MediaTek or Motorola. The GSM Arena site has made a comparison with 10 different smartphones: Samsung Galaxy S6, Galaxy S6 edge, Galaxy Note 4, Note Edge, Apple iPhone 6, iPhone 6 Plus, HTC One M9, Oppo N3, Asus Zenfone 2 and Meizu m1 Note. The results can highlight differences in performance since if it takes 1:31 to fully recharge the 3220 mAh Galaxy Note 4, it takes 1h33 for 3000 mAh Oppo N3 or 1h209 for the 2500 550 mAh Galaxy S6. Finally, the biggest difference does not come from the full load, but from partial loads. Thus, the Oppo N3 is far ahead with 68% of its battery recharged in 30 minutes against 44% for the Galaxy Note 4 or 54% for the Galaxy S6. In the end, Oppo and Motorola's fast charging solutions are doing really well. We must now wait for the arrival of new technologies (Quick Charge 3.0, Pump Express 3.0, VOOC Flash Charge) to benefit from an even faster charge.